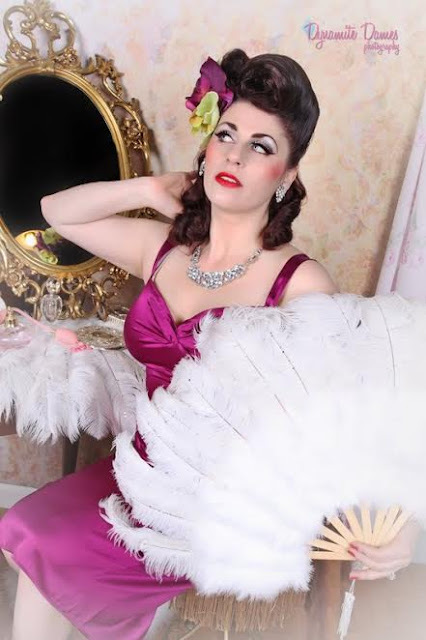 Miss Valerie Voiture is the extraordinary pinup for February! Due to the shortness of this month and her extraordinariness (yes, that is a word now) her reign as Pinup of the Month shall be extended to the first week of March! What makes this gal so extraordinary? I can't dish too much or I'll ruin the surprise but her vision of pinup is a glamorous dream that includes everyone! 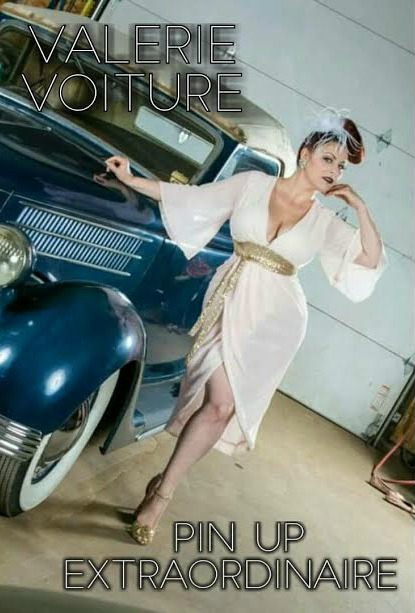 Valerie is a host of many pinup events throughout the year welcoming and inviting all pinups to create a group of confident and empowered pinups through camaraderie. 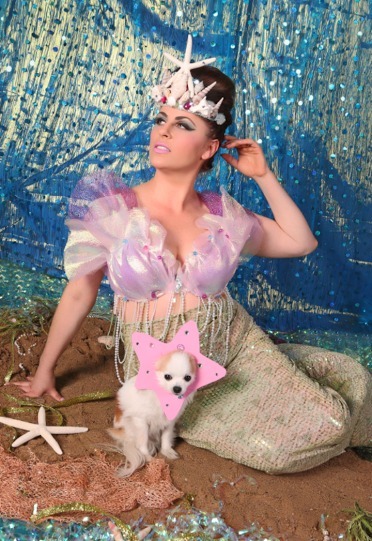 Read on to see this gal's visionary impact on the pinup community! 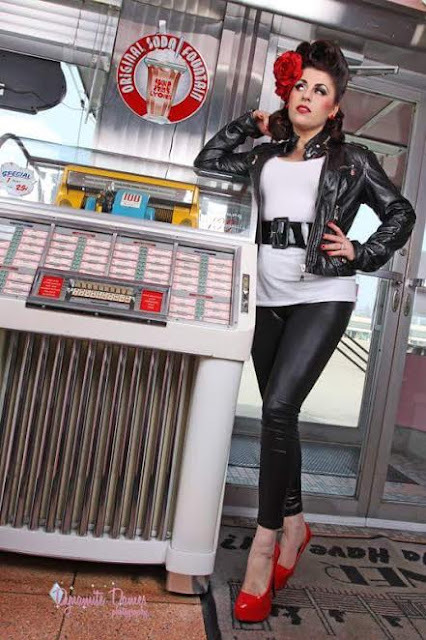 I grew up with cars and a love for vintage so it was a natural progression to become involved in pin up. I met my ginger hubs in 2009 and he introduced me to scene. I loved it and all the girls immediately. I started getting invited to events and made many friends easily. I know some girls struggle with "cattiness" of the scene but I have always felt you get out what you put into any given situation. For me that meant discovering a whole world of like-minded ladies with whom I became fast friends and am still to this day. We own and operate a hot rod and custom shop so we live and breathe the lifestyle everyday. Additionally, I like to organize and host pin up social events in the West Michigan area to boost morale and camaraderie among the local ladies and strengthen our friendships. Occasionally I organize events statewide but being a busy graduate student, that gets challenging. Music tastes are all over the board. I grew up in the punk era so I'll always be a little punk rocker inside. That said, I have been to numerous operas ( a GREAT excuse to get fancy!) and I love live jazz. I own my own 49 Ford Shoebox. I've been approached to sell but there is no way. She was my first and I cant part with her. I do hope to add to my collection, however. I'm looking at a '59 Impala convertible. My greatest inspirations are the models who first and foremost are nice people. There are some bullies out there unfortunately, though, luckily they're few and far between. Boycott their businesses, avoid them socially, whatever you need to do to not get into their drama. No one needs that in their lives! I do appreciate the models who are able to be very diverse in their work. 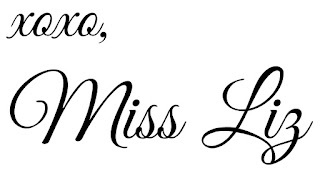 Models that bring it in so many different ways than just the traditional cheesecake pin up style like Mia Campbell, Riskay Business, and Leena Allure drive me to do better each time I work. These girls will bring you whatever you need to your sets. Their versatility is inspiring. I've been around a while so I'm proud of being able to continually work and producing great images. I'm proud of surrounding myself with great pin up friends and being allowed in their lives. Lastly, I'm proud of being a voice for those who get bullied or taken advantage of who may not be able to stick up for themselves. 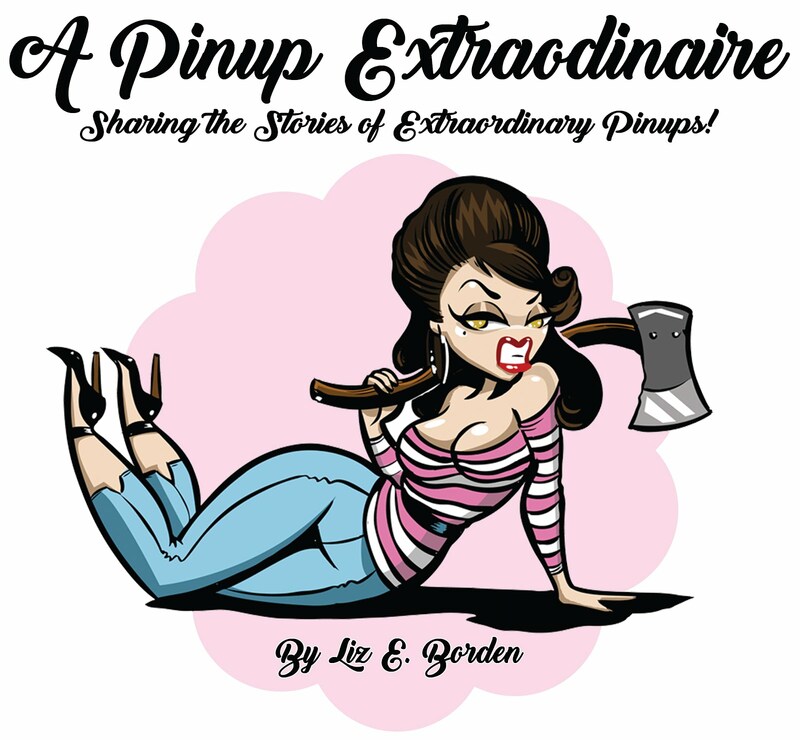 I'm an extraordinary pin up because I do the right thing even when it's not a popular choice. At the end of the day I can go to bed knowing I used my place in the community to influence and help protect, encourage, and empower other pin ups to love themselves and be kind to each other. I think it can be agreed we all need more gals like Valerie within the community! 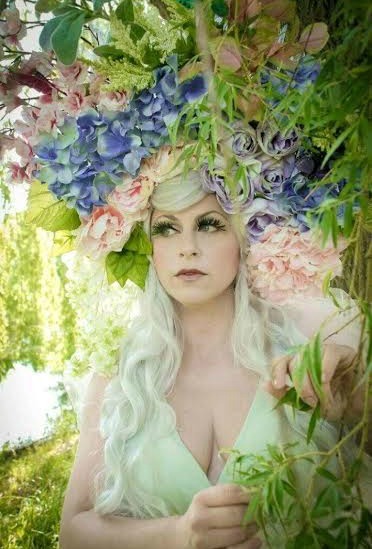 I'm so glad to have met her last year and worked with her for a photo shoot. Excited for more events, car shows, and photo shoots to come!